You have two days to spend in Mumbai and you are overwhelmed with Mumbai's more than ever, never ceasing crowd and the locals. 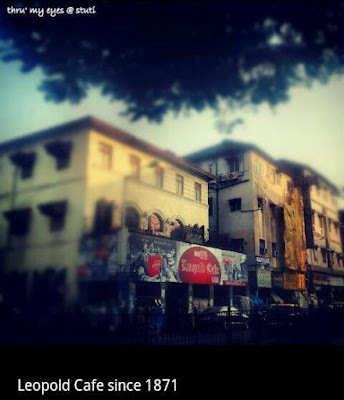 Mumbai is much more than that. A place which literally grows on you and which definitely gonna give you an experience of a lifetime. The fast pace, the passion and the never dying Mumbaikar spirit, its all here. A true Mumbaikar knows the importance of time, so I am sure you wouldn't wanna miss a moment anymore and get started with your Day in Mumbai. To be on the move whole day, to cover the best you first need to fuel yourself. Have a hearty breakfast before entering the 1st phase of your day's trip. There are a lot of good places where you can have a good breakfast and its upon you whether you wanna splurge on it or go without making a hole in your pocket. You'll find every next lane with something or the other. Vada pav centres, yummy sandwiches, franky, idli dosa, poha, upma, sheera are the regular food items and you will find them easily; hawkers or proper shops selling them road side. Very safe to take them and in fact you will enjoy it more. 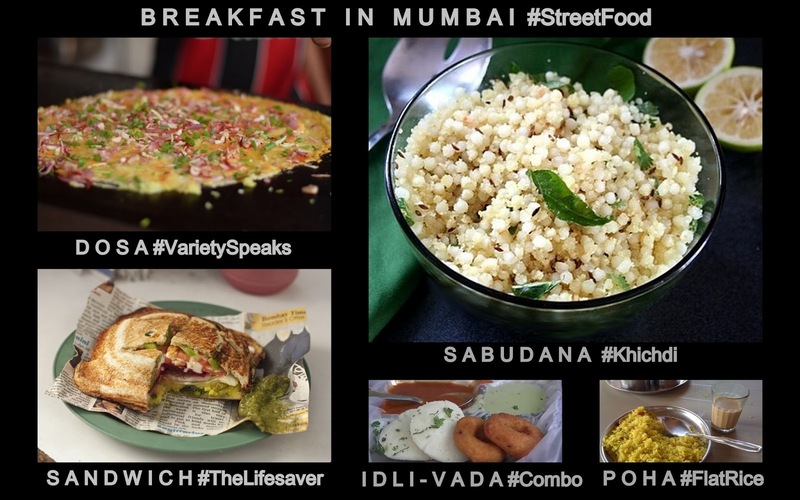 More than half of Mumbai thrives on road side food specially when it comes to breakfast. Nature Calling: Mumbai is full of hustle bustle of people, vehicles and what not. But that's not it. Mumbai still have some really nice, well kept "near to nature" kind of places. One among them is Borivali National Park aka Sanjay Gandhi National Park. 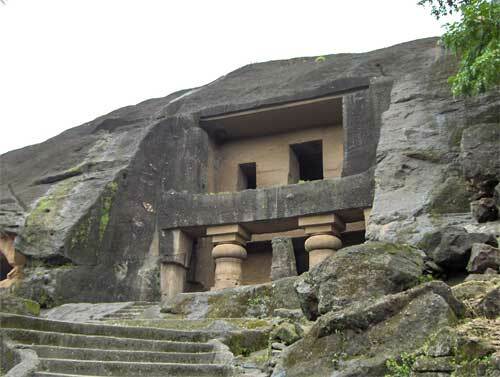 Go early morning (7 am) cycling at Borivali National Park, visit Kanheri caves inside. If you want you can do safari too but instead of that I would suggest that after cycling and visiting Kanheri Caves, you can directly go and visit Pagoda which is ahead of Borivali. For Global Vipassana Pagoda you gotta take road upto Gorai Creek from where you have to take ferry which will leave around a 700 m away from Pagoda. 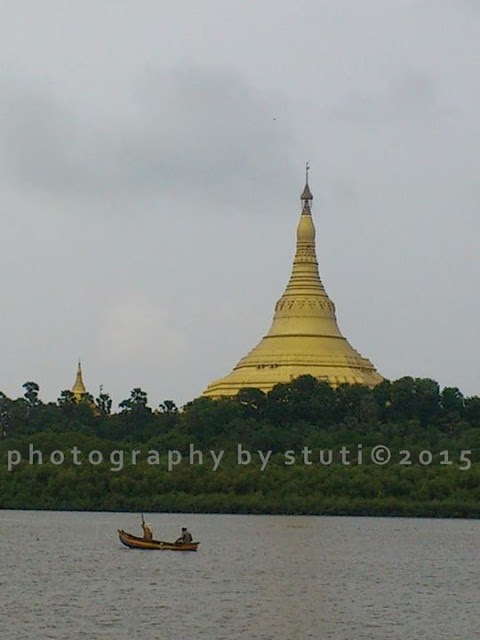 Pagoda and Essel World / Water Kingdom share the same island. There is a canteen inside Pagoda too and they have a good menu. Ferry ride - 15 min. Evening back to hotel / rest place. Stroll in and around hotel area / near by area. Leave early morning for Elephanta Caves, earlier the better. For more details you can check here. 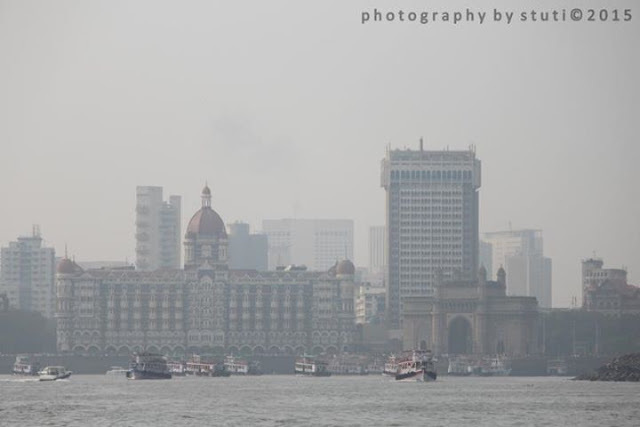 After returning you can see Gateway of India, click lots of pictures and have coffee at The Taj Palace hotel (splurge) or directly leave for lunch at some budget hotel or can even go to the famous Leopold Cafe. Post this you can spend your early evening doing shopping at Colaba Causeway. Don't forget to visit Marine Drives and watch the sun set. A must watch. 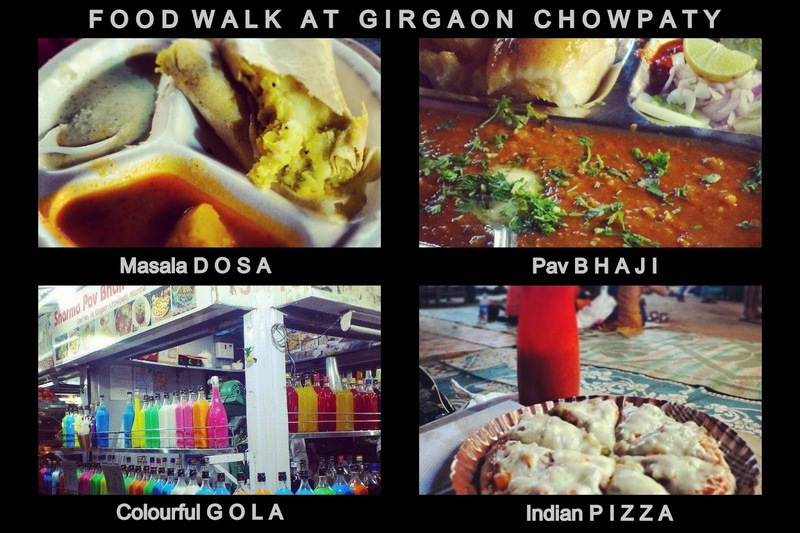 Start walking towards right, 4 kms and you will reach Girgaon Chowpaty (Chowpaty means beach). You can also take a taxi, there are plenty of it. While entering the beach compound on the left is food corner where you can splurge on some Indian cuisine and indian version of pizza, desserts, chaat and juices. The local food here is a must try like ragda patties, pani puri, dabeli, pav bhaji etc. While leaving when the sun is already set you can see the beautiful lighting of Saifee Hospital. Nonetheless Queens Necklace is a delight to watch at night. Queens Necklace is the other name for Marine Drives, the promenade parallel to the road and it is called so, because at night if you view from little elevation, the street lights gives an effect of yellow beads or pearls of a necklace. Post this fun eve you can return to your hotel or if you have a train, catch it!